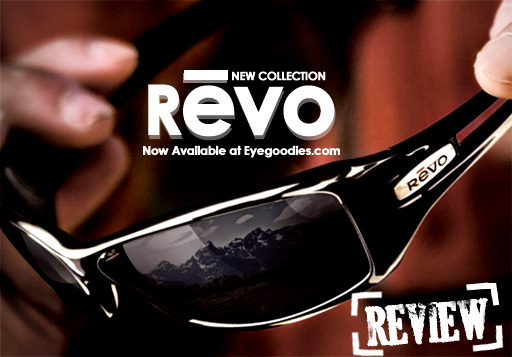 Eyegoodies.com is glad to welcome in the new 2009-2010 Revo Sunglasses collection. For those of you who are not familiar with Revo, they manufacture some of the highest optical quality lenses on the market. Founded in 1985, out of the idea that NASA technology was just as suited for sunglasses as it was for space shuttles. All of Revo’s lenses are polarized, come with back anti-reflective coating, and are offered in Serilium Polycarbonate or 1.8mm thin Glass. Revo Polarcast Technology is responsible for creating some of the clearest most advanced polarized sunglasses in the world and it is our pleasure to present them here to you. Revo Polarcast -Is a polarizing filter that blocks glare that’s being reflected off flat surfaces like water, snow, and the road. Element Shed -Is an exclusive lens coating that ensures virtually anything will roll right off the surface of your lens. Anti-Reflective Coating -Each lens has a back Anti-Reflective Coating, eliminating the light that is reflected off the inside of the lens. 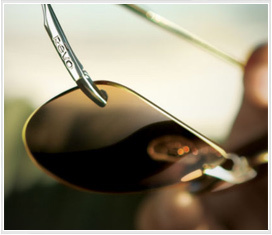 1.8mm Thin Glass Lenses -Revo’s premium glass lenses are very thin: 1.8 mm to be exact. Thus reducing unnecessary weight while maintaining the benefits of glass, like being extremely scratch resistant. Serilium Polycarbonate Lenses –The purest form of polycarbonate known to man. Polycarbonate gained its fame from being extremely light weight and impact resistant. Revo’s serilum Polycarbonate lenses are capable of withstanding high-velocity impact from objects like gravel. Graphite -The most neutral lens, which allows for the truest color. Graphite is a great general purpose lens and works well for activities such as cycling and climbing. Graphite is Best for bright sunlight. Bronze -Provides the most contrast enhancement and also works well in bright sunlight. Bronze is ideal for golf, water sports, and general activities. Cobalt -works well in all conditions and has a neutral profile that blocks out more blue light, making it a great lens for water applications. Cobalt can also be used in slightly overcast conditions. 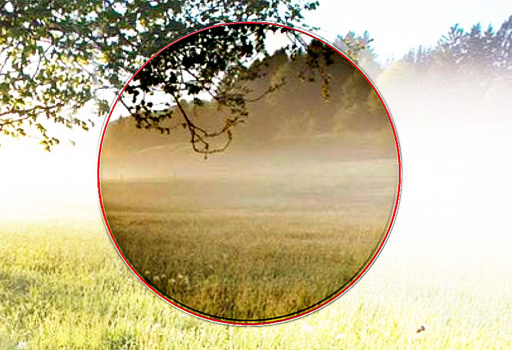 Above is an example of the effect a Revo Polarcast Polarized lens has. As you can see it dims the sunlight, blocks glare, and adds contrast. 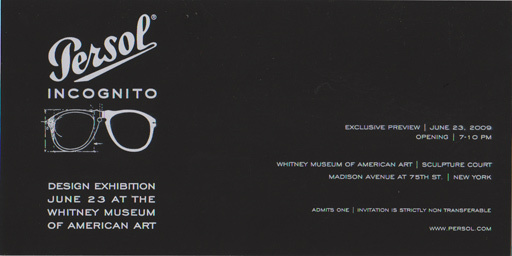 Ray Ban is at it again, exploring and bringing forth from its fabled heritage. 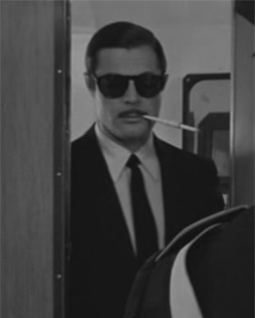 Drawing from the continued success of all the classic models, such as: the Origianal Wayfarer, Clubmaster, classic Ray Ban aviator, and its plastic aviator counterpart, the Ray Ban company has just released a retro styled wayfarer complete with an old fashioned keyhole bridge: The RAY BAN RB 4140. The Ray Ban 4140 is a subtle classic Americana styled sunglass that looks understatedly cool on both men and women alike. 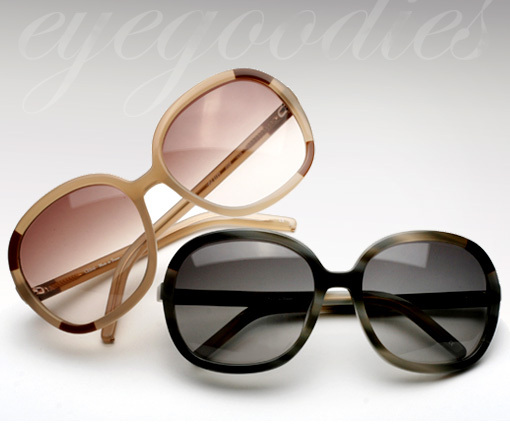 It’s complete with spring hinges and glass lenses all for $117, right here at eyegoodies.com. 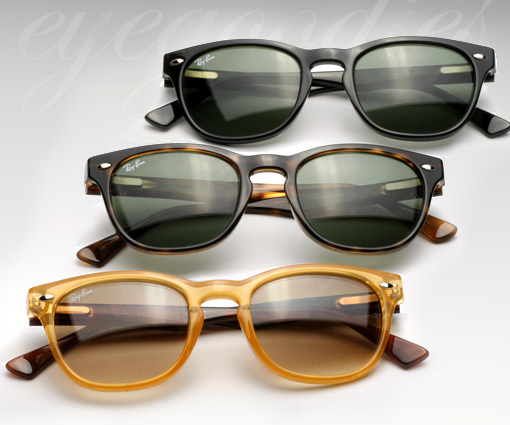 If you really like the look and wear galsses be sure to check out the very similar Ray Ban 5165 eyeglasses. 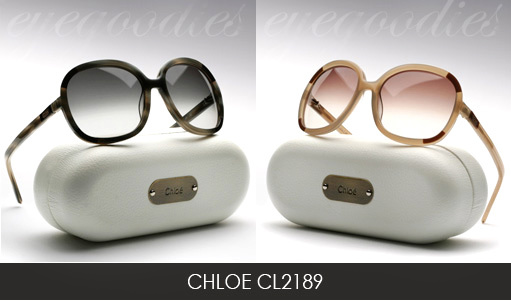 Just in time for fall/winter and sure to be a hit this season, the new Chloe CL 2189 sunglasses. Inspired by vintage Ted Lapidus sunglasses of decades past, the Chloe 2189 provides an update to the shape of the all popular Chloe 2119 Myrte. At first glance the Chloe 2189 and 2119 might look almost the exact same, however there have been refinements to the fit. The Chloe 2189 slightly contours to the wearer’s face and fits almost everyone who tries it on like a glove. Available in grey horn with grey gradient lenses and mink (beige) with brown gradient lenses. 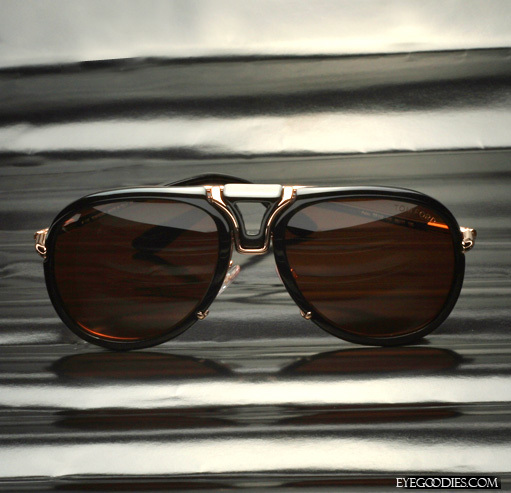 Tom Ford known for his detailed aviator sunglasses ever since his debut collection, is back again with some really nice editions in 2009. 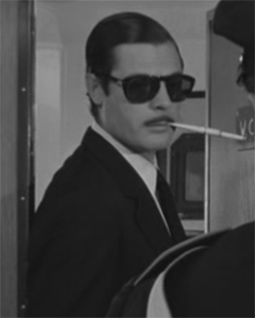 From unique plastic aviators including the Henri (TF 141) and the Rodrigo (TF 134), to detailed metal aviators, such as the Camillo (TF 113), Daniel (TF 114), and Silvano (TF 112). Then there’s one piece that provides the best of both worlds, the Tom Ford Pablo (TF132), which comes with removable plastic inserts and a second set of interchangeable lenses.